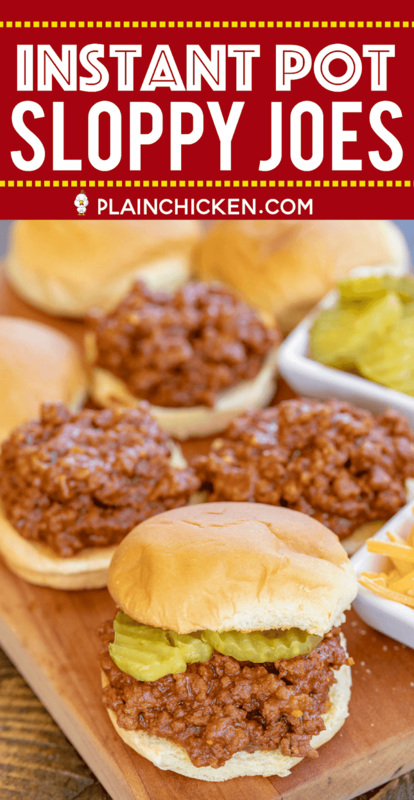 These Instant Pot Sloppy Joes are hands down THE BEST Sloppy Joes I've ever eaten. OMG! 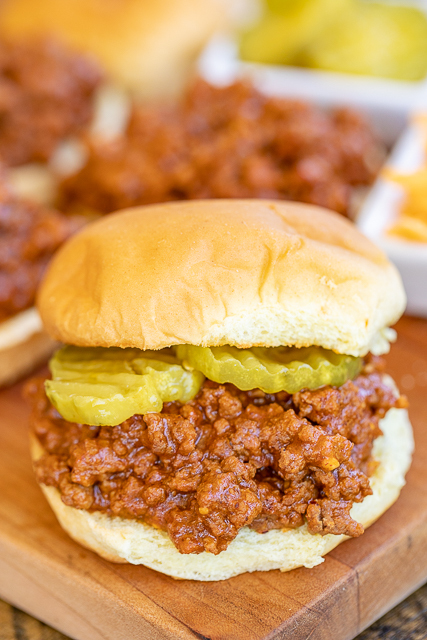 I'm not really a Sloppy Joe fan, but this recipe changed my mind. 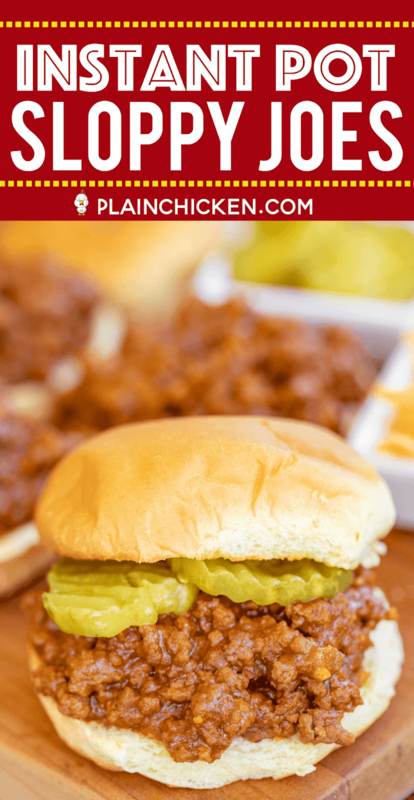 I really, really LOVED all the flavors in this recipe! Ground beef with BBQ sauce, garlic, tomato sauce, cider vinegar, brown sugar and chili powder. Perfection! 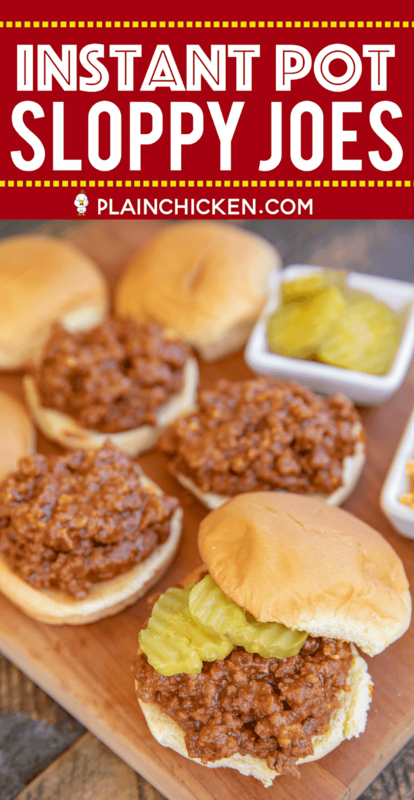 I loved how easy these Sloppy Joes were to make in the Instant Pot. 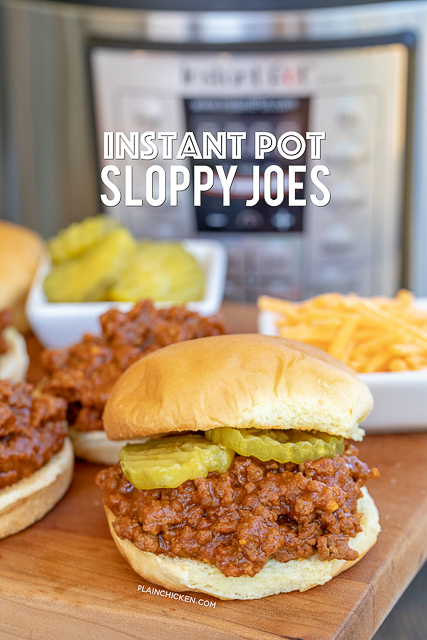 Just brown the meat, add the remaining ingredients and let the Instant Pot work its magic. 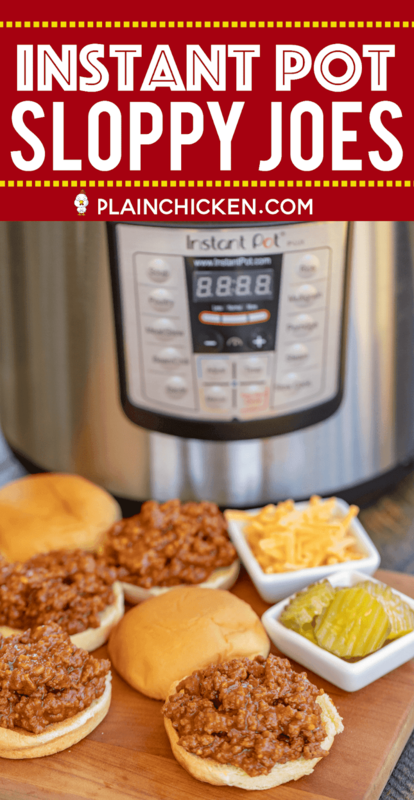 The more I use my Instant Pot, the more I see why people are so crazy about them! 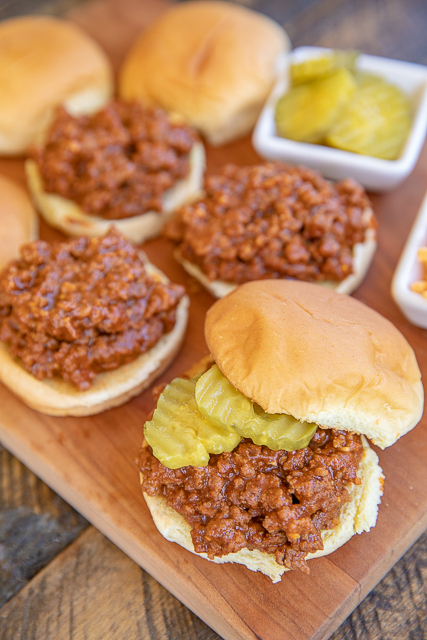 We served the Sloppy Joes on slider buns with some pickles, cheese and mustard. YUM! 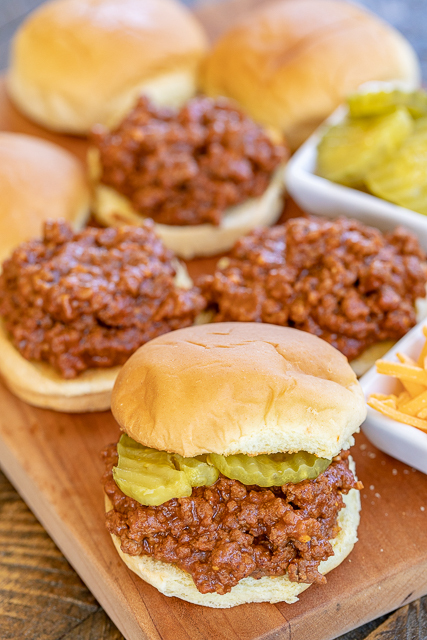 I can't stop thinking about how great these Sloppy Joes were. They are definitely going on the menu again soon. Give these a try. 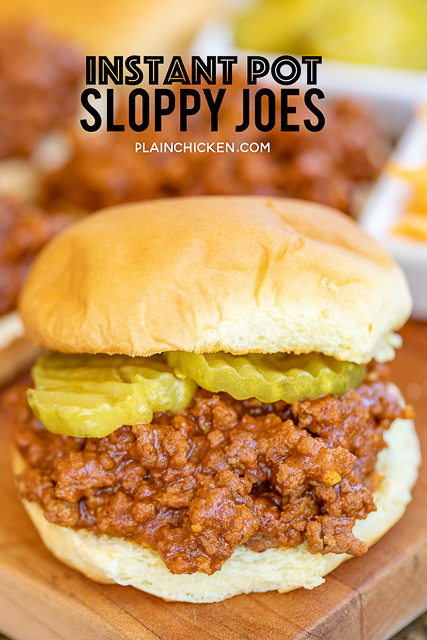 I promise, even if you aren't a Sloppy Joe fan, you will LOVE these sandwiches! Turn Instant Pot on Sauté. Cook ground beef until no longer pink. Add garlic and cook an additional minute. 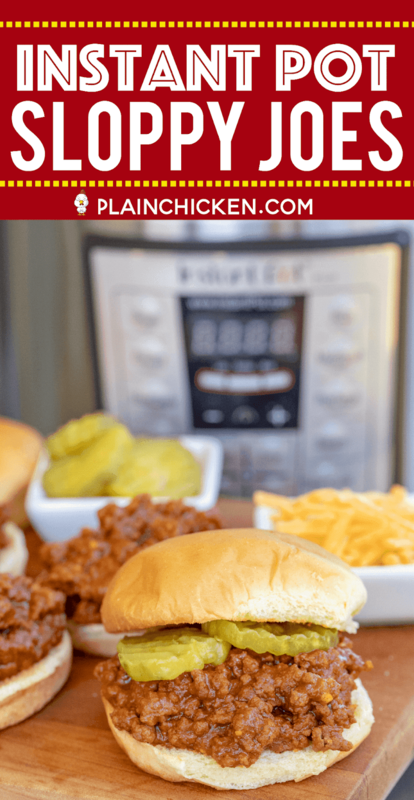 Turn off Instant Pot. Drain fat. Add tomato sauce, BBQ sauce, dijon mustard, Worcestershire sauce, cider vinegar, brown sugar, chili powder, and onion powder. Stir to combine. Cover Instant Pot, lock lid and seal valve. Cook on Manual or High Pressure for 10 minutes. Turn off pot and quick release steam. Remove lid. Set the pot to sauté. Stir together corn starch and hot water. Add to pot and cook for 2 minutes, until slightly thickened. Hi Steph, is there a 5th step? If yes, it's not showing. Thanks! Hi. I'm trying this tonight but I keep getting the dreaded BURN. First time I added about a cup of water and got the BURN again. Any suggestions? Delicious. Didn't have tomato sauce, so I used ketchup. Worked fab. I have a recipe I like (yay, butter) but it is stove top and takes longer. Great option for a hurry up night!